The Town's irrigation system is a separate non-potable system, with separate valves and mains than the Town's freshwater system. The irrigation season is roughly from May 1 to October 15 of each year. The Town budget-bills monthly year-round, however. Odd numbered addresses may use irrigation water 20 minutes per zone on Sunday, Tuesday and Thursday. 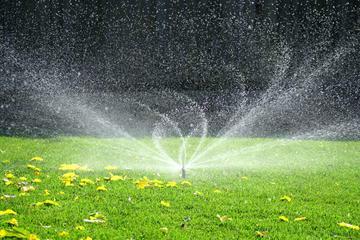 Even numbered addresses may use irrigation water 20 minutes per zone on Saturday, Monday and Wednesday. Only the Town of Silt can use irrigation water on Friday, for Town facilities, parks and/or open space, and to help fill the irrigation tanks for the weekend. Stoney Ridge Planned Unit Development is not on the Town's system, and therefore is not subject to the Town's watering restrictions. The Public Works Department will begin filling tanks and testing irrigation lines as soon as the ditches have water. The Town ensures water to residents by May 1. Please ensure that your system valve is off to avoid leaks on your property.